The refurbished GE C2-6b-D transducer has an operating frequency range of 2 to 6 MHz and a field view of 61º. 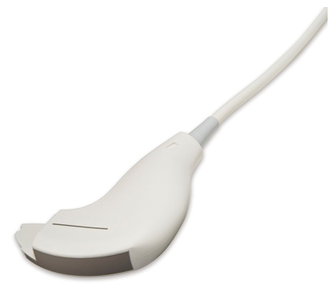 This convex probe is used for abdominal imaging applications with the GE Logiq e9 ultrasound machine. If you are interested in getting more information about the used GE C2-6b-D probe or other used ultrasound transducers for sale, please get in touch with our sales team by calling us 877-661-8224 or through the contact form below. Our sales experts can provide you a no-obligation quote anytime! I want a free price quote on the GE C2-6b-D, send it today!